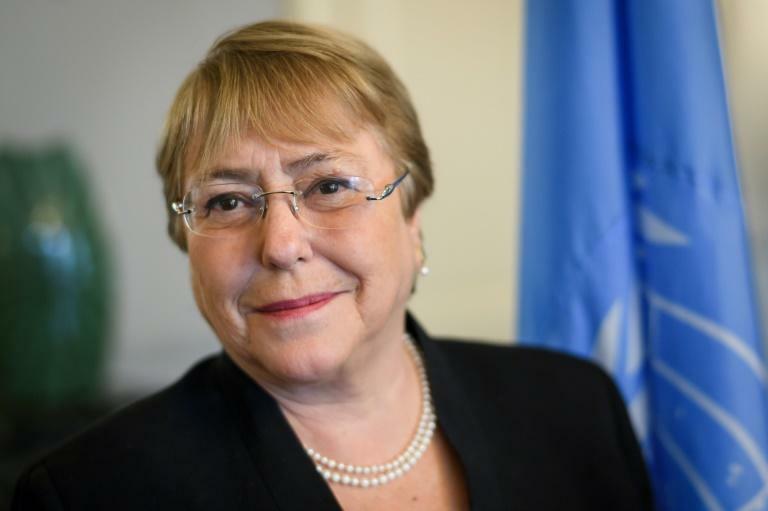 New UN rights chief Michelle Bachelet will give a widely anticipated speech Monday, with many eager for clues to how she will address rights crises around the world. The former Chilean president will open the UN Human Rights Council's September session as the body continues to reel from Washington's decision three months ago to withdraw. As other countries scramble to fill the leadership gap on a number of rights issues created by the US departure, the council will this session be grappling with topics including possible "genocide" in Myanmar and the crisis in Venezuela. Diplomats and activists from around the world will gather in Geneva to hear Bachelet's maiden speech and try to determine whether she will mimic the abrasive style of her predecessor, Zeid Ra'ad Al Hussein, or stake out a softer approach to tackling the job. Critics accused Zeid, a member of Jordan's royal family, of being too confrontational with his often fierce criticism of world leaders and numerous calls for international investigations of rights violations in places like Syria, North Korea and Myanmar. Some diplomats and UN insiders have suggested that UN chief Antonio Guterres appointed Bachelet in the hope she would tone down the criticism a bit to avoid losing support from powerful member states. 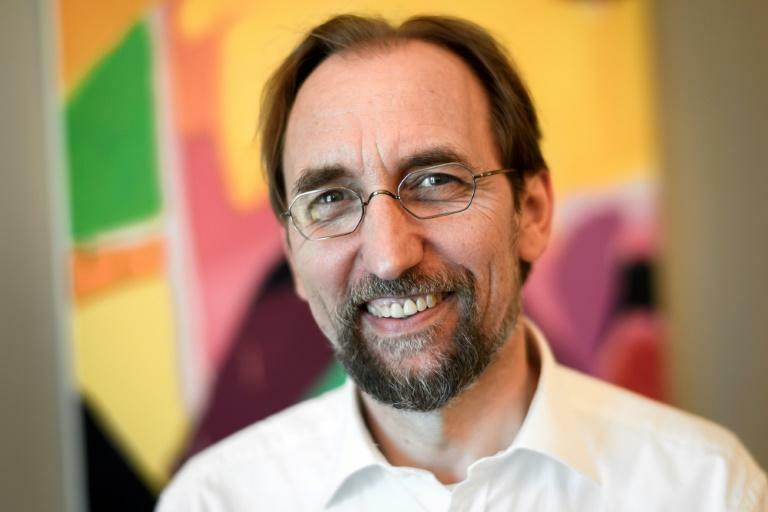 In an interview with AFP last month, Zeid urged his successor not to waver from publicly condemning serious abuses, stressing that "we are not in the silence business here". "Succeeding Zeid will not be easy," Switzerland's ambassador to the UN in Geneva Valentin Zellweger told AFP last week. The Jordanian, he said, had "forged an extraordinary reputation", and his departure marked a "great loss" for the UN. But Zellweger said he had full confidence in Bachelet, whose "politics have always been characterised by an understanding of human dignity". A Western diplomat, who asked not to be identified, meanwhile told AFP that "it is very important that Bachelet maintains Zeid's very defensive line". At the same time, "we expect Bachelet will not neglect certain functions (of the job) that Zeid neglected," the source said, urging her to do more to maintain good relationships with states and thus make it easier to offer assistance to improve their rights situations. The 39th session of the rights council, due to last through September 28, will mark the first full session since Washington slammed the door in June, accusing the body of "hypocrisy" and anti-Israel bias. John Fisher, who heads Human Rights Watch's Geneva office, said the US absence was troubling. "Obviously it is a concern when any major player turns its back on the world's top human rights body the way the US has," he told reporters. "Everyone will be looking to see to what extent this withdrawal will throw the council off-balance," the source said, pointing out that Washington had traditionally taken the lead on a number of country files. One of those is Syria, which will figure squarely on the council agenda, with the UN Commission of Inquiry due this week to publish its latest report on violations committed in the war-torn country. The council is also set to focus on the situation in war-ravaged Yemen, with a group of experts scheduled to present a report warning that all sides may have committed war crimes. Another report expected to make waves, which was published last month by a UN fact-finding mission, calls for Myanmar's army chief and other top military commanders to be prosecuted for genocide against the country's Rohingya minority. The investigators are asking the council to extend their mandate, and observers say the body might also choose to create a separate group of experts tasked with preparing case files for future prosecution, as was done for Syria. The spiralling crisis in Venezuela will also be on the agenda, with the country's foreign minister Jorge Arreaza due to address the council on Tuesday. It remains unclear if Bachelet will meet him. Her predecessor called in vain on the council during the June session to create a high-level international investigation into rights abuses in the country.